Whether you are spending a week in Belize City or just visiting for the day while vacationing on the island of Ambergris Caye, you won't be disappointed in what the country's largest city has to offer. From exciting nightlife to incredible cuisine and world-class historical attractions, the city really does have it all. Here are some of the top things to see, do and explore when spending time in Belize City. One of the best ways to get to know the culture of Belize is to dive into the local cuisine. Along with international restaurants that feature familiar menu items and stunning views of the water, visitors will find an array of local eateries that serve up favorites that are more traditional. A staple of the local diet in Belize is the boil up, which is made up of local seafood, yams and green plantains boiled together until soft in a creamy broth made of coconut milk. For something just as unique and perhaps a little livelier, head to the Wet Lizard for a beer or a cocktail to go with your conch fritters, a deep-fried seafood delight that is one of the most popular dishes you can order along the coast. Belize's international airport is located in the city, but that is not the only way to access this incredible destination. Another great way to get around is by water taxi. Essentially ferryboats, these water taxis can take you to spots like San Pedro on Ambergris Caye or even Caye Caulker. Make sure you determine the price of the trip in advance if it is not clearly posted. The urban metropolis is a hub of politics, commerce and transport for the country today, but it is also home to some amazing historical landmarks and attractions that are definitely worth a visit. Step way back in time and visit the Marco Gonzales Protected Mayan Site to learn more about the ancient Mayans who once called Belize their home. To discover more about how the past has influenced modern culture, the Eco-Museum Belize is another top attraction. An additional highlight in the city for the history buff might include the Belize Museum, which is a converted British Colonial structure that once served as a prison and now houses historical artifacts. At the House of Culture, it is possible to browse through a collection of more than one thousand pieces of art, sculpture and fashion from today's Belizean artists as well as royalty and artists of centuries past. Belize City is an exciting destination that boasts everything from traditional crafts and souvenir shopping to world-class museums and local specialty cuisines. 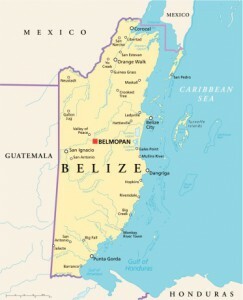 Click here to learn more about the top things to do when visiting the largest city in Belize.